LIVERPOOL, NEW YORK—The Syracuse Spartans (18-24 concluded their season on Sunday, losing a hard-fought game to the Syracuse Salt Cats (19-23), by a score of 14-10. For the Spartans, it was their last chance at making a push towards the playoffs, coming in needing a win and a Sherrill loss. For the Spartans, it was their final game of the season, ending a stretch that saw them play 13 games in 9 days. The eighth and ninth innings was the difference in this see-saw affair between the cross-town rivals. After two quick strike outs from Jake Bianchi, he allowed a single to Adam Holland, then two consecutive triples to Xander Ferlenda and Sean Lawlor, giving the Salt Cats an 11-9 lead. The Spartans pitching staff led by Brian Burns and pitching coach Doug Willey sent five different pitchers to the mound on Sunday night. The first two pitchers, Liam Devine and Michael Bubniak combined to allow seven runs in four innings of play. Nick Borek came in and was a steadying presence, pitching three innings, giving up no earned runs, and striking out three. He was the lone effective pitcher for the Spartans, as Syracuse gave up 22 hits to the Salt Cats. After falling behind by five runs after the top of the second inning, Syracuse immediately responded scoring four runs of their own in the home half, led by Josh Loeffler and Andrew Pedone singles. The Salt Cats scored four more runs in the top of the fourth, behind a Taylor Fajardo mammoth home run over the right field fence. But the Spartans continued their never-say-die attitude, plating one run in the fifth, three in the sixth, and tying things up in the seventh. In the sixth inning, Syracuse electrified the crowd behind a two out, two-run triple from John Mesagno to bring the Spartans within one run. Josh Loeffler would follow suit, hitting a RBI triple in the seventh to eventually tie the game. It was one of two five-run deficits the Spartans overcame. 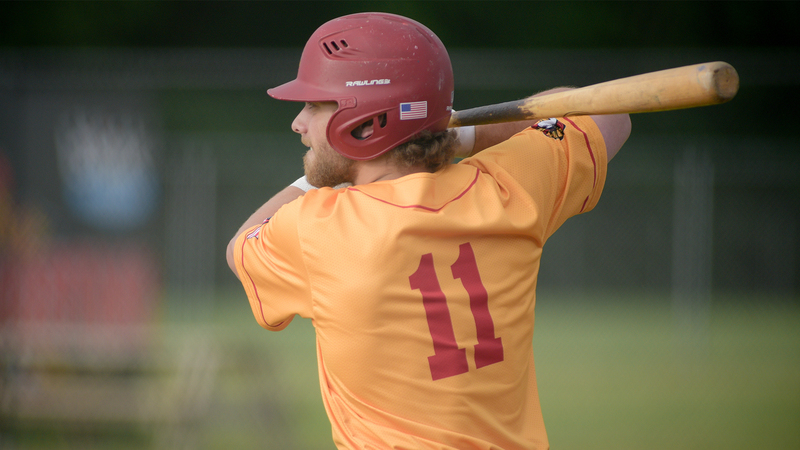 The Spartans finish the 2018 NYCBL season with an 18-24 record and in fifth place in the NYCBL Eastern Division.